Keeping up with Landree: Happy Birthday Aunt Maggie! Happy Birthday Aunt Maggie! We love you and hope you have a great day! 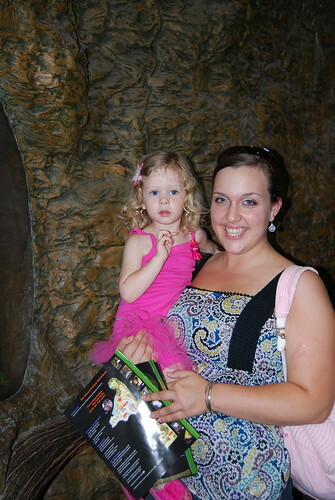 This picture is (one of the many that I haven't blogged about) from this summer when Mia and Aunt Maggie took Landree to the Dallas Aquarium. Landree loves Aunt Maggie and we know baby Hudson will too! Love you Mag! We hope this year is the best! In the midst of that we've had going on I haven't mentioned that baby Hudson shares the same birthday with Jeff's dad. September is a big birthday month for our family! Grandma's is next Wednesday and Landree's is Thursday!